You are given a project to run. Amongst your early questions should be, "who is the Sponsor?" Sometimes you may receive the answer "there isn't one and there is no need for this project" WRONG! The Sponsor should be on the hook to deliver the benefits and no Sponsor could mean no benefits have been thought about for the project which is bad news - put bluntly, if the nobody has an idea what benefits the project might deliver at the outset, you need to question whether to start? But I have been faced with the situation of no Sponsor when picking up a project and have resorted to Shakespeare for help. Go searching. "Who is the person who will benefit from the project?" If you can't find the person to "own" the project, exit Stage left as Shakespeare might have said. 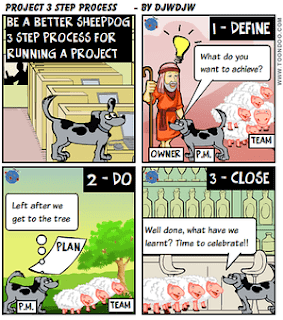 Remember you might "run" the project day to day but you don't "own" it i.e. set the objectives, constraints, benefit case, be the authoriser of plans and budgets etc - all the things I look towards the Sponsor for. ensures the project is value for money and balances the demands of business, "user" and "supplier"
So go hunting when you get given your project. And when you have your first Project Board meeting, I always include the responsibilities of the Project Board members in the slide pack. Then there are no excuses regarding what I am expecting! Back to Shakespeare. In his quote "O Sponsor, Sponsor wherefore art thou Sponsor?" 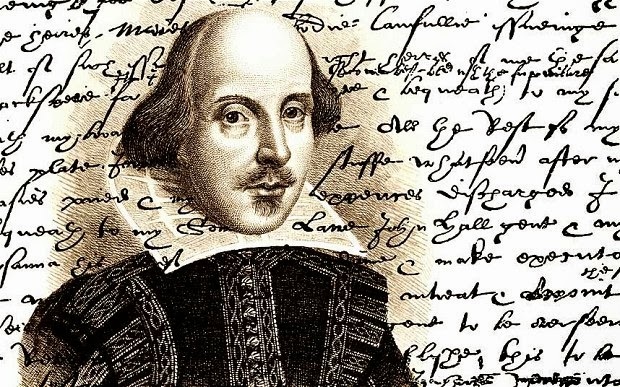 many people think that the old English "wherefore" means where but it really means why. Exactly the question to be asked when seeking a Sponsor. 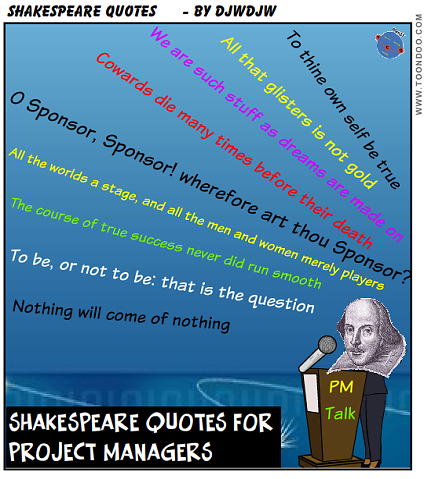 I told you Shakespeare knew a bit about Project Management in the 16th century!